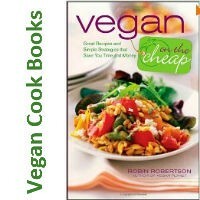 Note: This vegan cookbook is filled with delicious, easy-to-prepare recipes for seasonal eating. YUM! 1. Heat oil in medium stockpot. Saute the kabocha with sea salt for about three minutes, covered, stirring occasionally. Add a little water if the kabocha starts to stick to the pan. Add orange zest and juice. Saute for two more minutes. 2. Add water and coconut milk and bring to boil. Simmer until kabocha is very soft (about 20 minutes). Puree with immersion blender right in the pot or in batches in a regular blender (return to pot when finished blending). Add pepper and sea salt to taste. Serve hot garnished with herbs. 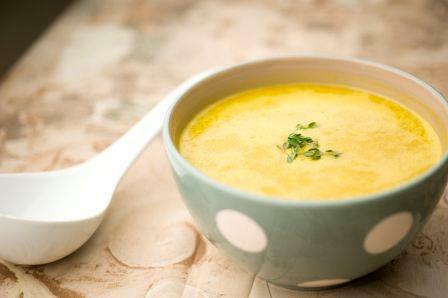 Let us know what you think of this easy vegan recipe: Citrus Coconut-Kabocha Bisque!